Your cultural itinerary includes sights like Alcatraz Island and Fisherman's Wharf. Get in touch with nature at Baker Beach and Strawberry Hill. There's still lots to do: examine the collection at Exploratorium, browse the different shops at Ferry Building Marketplace, get a new perspective on things with Boat Tours & Water Sports, and cast your line with a fishing tour. To see other places to visit, where to stay, traveler tips, and more tourist information, read San Francisco day trip planning app . London, UK to San Francisco is an approximately 14.5-hour flight. You can also do a combination of flight and train. The time zone changes from Greenwich Mean Time to Pacific Standard Time, which is usually a -8 hour difference. Traveling from London in April, expect San Francisco to be a bit warmer, temps between 22°C and 12°C. Finish your sightseeing early on the 7th (Tue) to allow enough time to drive to Yosemite National Park. 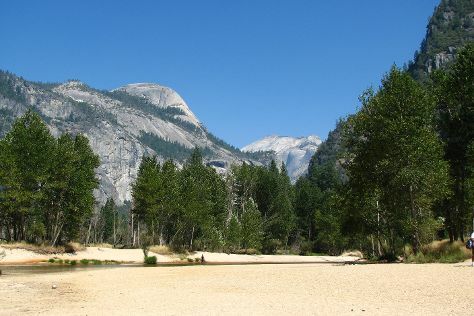 Kick off your visit on the 8th (Wed): admire the sheer force of Yosemite Falls, then get a taste of the local shopping with Ansel Adams Gallery, then take your sightseeing to a higher altitude at Cathedral Beach Picnic Area, and finally explore the striking landscape at Glacier Point. Get ready for a full day of sightseeing on the next day: take some stellar pictures from Tunnel View, then get all the information you need at Yosemite Conservation Heritage Center, and then explore the striking landscape at North Dome. For traveler tips, reviews, where to stay, and tourist information, read Yosemite National Park tour planning tool . You can drive from San Francisco to Yosemite National Park in 4 hours. Other options are to do a combination of flight and car; or do a combination of flight and bus. While traveling from San Francisco, expect slightly colder days and much colder nights in Yosemite National Park, ranging from highs of 17°C to lows of -2°C. Wrap up your sightseeing on the 10th (Fri) early enough to travel to Los Angeles. Your inner history buff will appreciate Santa Monica Pier and Hollywood Walk of Fame. 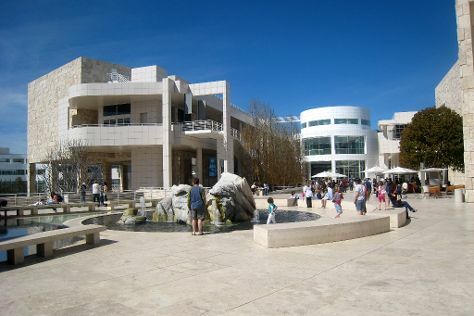 You'll explore and learn at The Getty Center and Annenberg Space for Photography. Change things up with a short trip to Santa Monica Mountains in Santa Monica (about 1h 10 min away). There's still lots to do: enjoy the sand and surf at Venice Beach and Boardwalk, take in a show at Melrose Trading Post, admire the masterpieces at Hammer Museum, and stop by Whimsic Alley. To see traveler tips, reviews, photos, and tourist information, use the Los Angeles online vacation planner . Getting from Yosemite National Park to Los Angeles by combination of car and flight takes about 4.5 hours. Other options: drive; or do a combination of bus and flight. Traveling from Yosemite National Park in April, you will find days in Los Angeles are a bit warmer (28°C), and nights are warmer (15°C). Wrap up your sightseeing on the 12th (Sun) to allow time to drive to Death Valley National Park. Start off your visit on the 13th (Mon): contemplate the long history of Harmony Borax Works, cruise along Artists Dr, and then take in the dramatic natural features at Zabriskie Point. To see traveler tips, photos, more things to do, and more tourist information, refer to the Death Valley National Park online day trip planner . Getting from Los Angeles to Death Valley National Park by car takes about 4.5 hours. Other options: do a combination of train, bus, and car; or do a combination of flight and bus. Expect a bit cooler evenings in Death Valley National Park when traveling from Los Angeles in April, with lows around 11°C. Wrap up your sightseeing on the 14th (Tue) early enough to drive to Las Vegas. Kick off your visit on the 14th (Tue): examine the collection at The Mob Museum, shop like a local with The Strip, and then admire the local landmark of Bellagio Fountains. For more things to do, traveler tips, maps, and other tourist information, read our Las Vegas online road trip planner . Getting from Death Valley National Park to Las Vegas by car takes about 2.5 hours. Other options: take a bus. Plan for a bit warmer nights when traveling from Death Valley National Park in April since evenings lows in Las Vegas dip to 16°C. Cap off your sightseeing on the 15th (Wed) early enough to travel to Grand Canyon National Park. You've now added Wire Pass Trail (Buckskin Gulch access) to your itinerary. Step out of the city life by going to Rim Trail and Kolb Studio. The adventure continues: take in breathtaking views at Grand Canyon South Rim, stop by Canyon Village Marketplace, take some stellar pictures from Mather Point, and examine the collection at Yavapai Geology Museum. For more things to do, where to stay, reviews, and tourist information, you can read our Grand Canyon National Park online visit planner . You can do a combination of car and flight from Las Vegas to Grand Canyon National Park in 4.5 hours. Other options are to drive; or take a shuttle. Traveling from Las Vegas to Grand Canyon National Park, you'll lose 1 hour due to the time zone difference. While traveling from Las Vegas, expect little chillier days and cooler nights in Grand Canyon National Park, ranging from highs of 19°C to lows of -3°C. You will leave for home on the 18th (Sat).